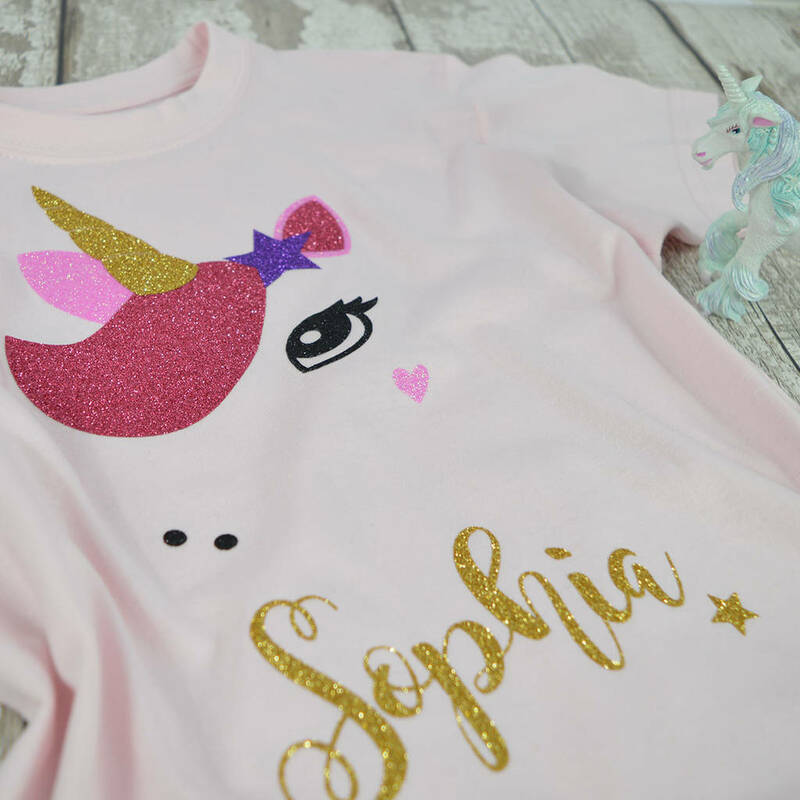 A super sparkly printed top in a fabulous Unicorn glitter design that can personalised with a name of your choice. 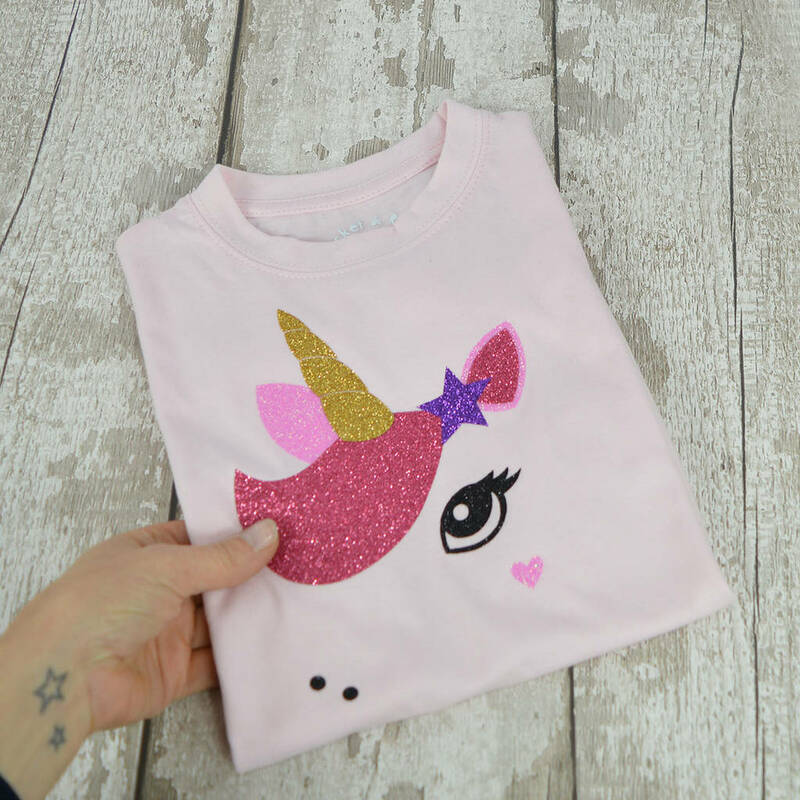 The Rocket & Rose, Star Unicorn T-shirt is a perfectly magical gift which can be personalised with a name of your choice. 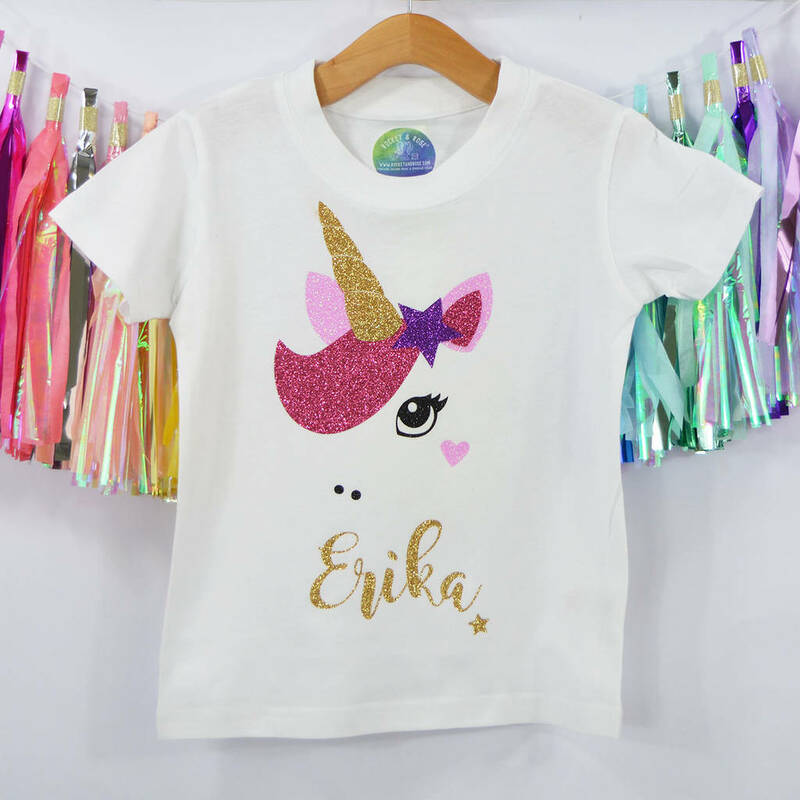 An everyday wear top features a beautiful glitter unicorn print. 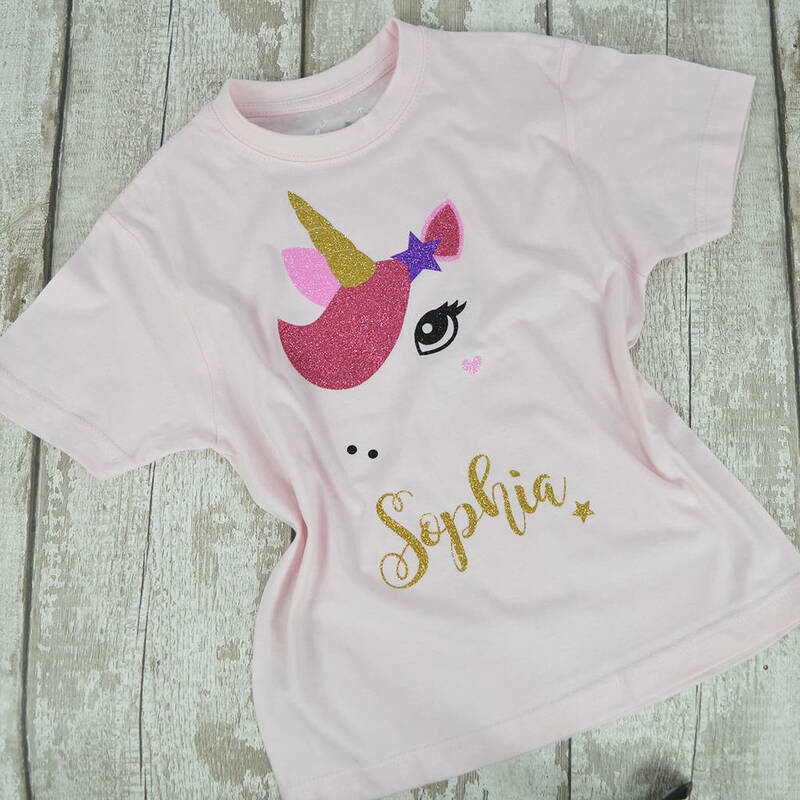 A name can be added underneath the unicorn design & will be a perfect personalised gift. The sparkly Star Unicorn available as a white short sleeved t-shirt to really show off the glittery print. Chest Sizes: 0-6 month 21.5", 6-12 months 22", 1-2 years 25", 3-4 years 26", 5-6 years 28", 7-8 years 30" & 9-11 years 32"